Congratulations! You have selected a new system and are looking forward to how this will change your world for the better. There is just one thing standing in the way – implementation! There are two sides to every implementation – the vendor side and the client side. As experts in, and certified implementation consultants for, both UltiPro and Ceridian Dayforce, we fully understand both. There is a prescribed methodology, tools, templates, etc. Once your vendor team is assigned, a kickoff meeting will be scheduled and your project is launched. During the project, any delay on your part to respond to questions or failure to provide data or other information will jeopardize your targeted go live date and potentially increase your implementation costs. To keep your project on track and on budget, you must be prepared to be actively engaged each step along the way. Wise Consulting specializes in partnering with client teams, adding project management and hands on assistance to maximize your team’s knowledge and minimize their time investment. 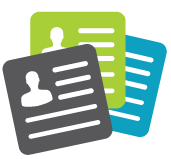 To successfully deploy a SaaS solutions for HR, payroll, workforce management, talent management and/or benefits that will work for you today and into the future, you must accurately communicate your unique company requirements. Even if you documented these for your vendor selection project, the implementation team will need very detailed definitions. The list of items to be defined is lengthy. Pay policies, eligibility rules, organizational structure, taxing jurisdictions, positions, carrier feeds – etc., etc., etc. Some items are fairly straight forward, but most require a level of decision-making that can impact how your system ultimately is accessed throughout the organization and how easily reports can be created. Wise Consulting has a series of Pre-discovery Workshops that prepare your team to make decisions confidently. Step one: Discovery – check! While the bulk of this task falls onto the vendor side implementation team, being involved and assisting in this step provides you an invaluable opportunity to learn how the system works and prepare for owning it once the implementation is complete. During this phase, Wise assists clients in building out supporting tables (job, position, org, etc. ), creating validation reports, documenting configuration options, and more. The system is really starting to come together! Step two: Configuration – check! As the implementation team continues with configuration, your team will turn to test case development to prepare for unit and parallel testing. Unit testing refers to an item-by-item review to make sure each component is configured properly and is producing the expected result when tested individually. Further end-to-end and parallel tests will validate whether all of the components are working well together. Both require intensive participation from your team. 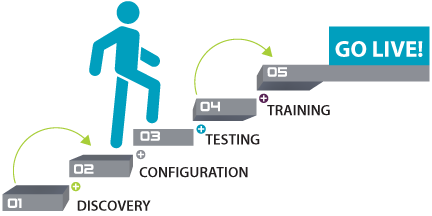 Wise Consulting brings comprehensive support to design and develop test cases, coach your team through the unit and parallel testing (or take on the heavy lifting if you are resource challenged), interact with your implementation team for remediation, document results, and provide assurance your system is ready for “go live!” Step three: Testing – check! Ensuring both the ‘heavy’ and ‘casual’ users are ready when the system is launched requires planning, a lot of communication, and perfect timing. By coordinating with your internal training department and making the most of your vendor’s available training options, the Wise team will fill in any gaps in content or delivery for your chosen training path. Step four: Training – check! Hold up! Before you can go live with your new system, data from your legacy solution will be mapped and converted over. Depending upon timing, this may include quarter and year-to-date balances. Validating all data is critical. Failure to balance “to the penny” to your old system and tax returns could be devastating. Just one more thing on the “to do” list! By partnering with Wise Consulting, we will hold your hand every step of the way, leaving you feeling confident in and very well educated about your new system. Step five: Go Live – check!